I have had the idea of using the round Hero Art stamp as the center of a flower for some time now. I just wasn’t sure what kind of flower I would make. 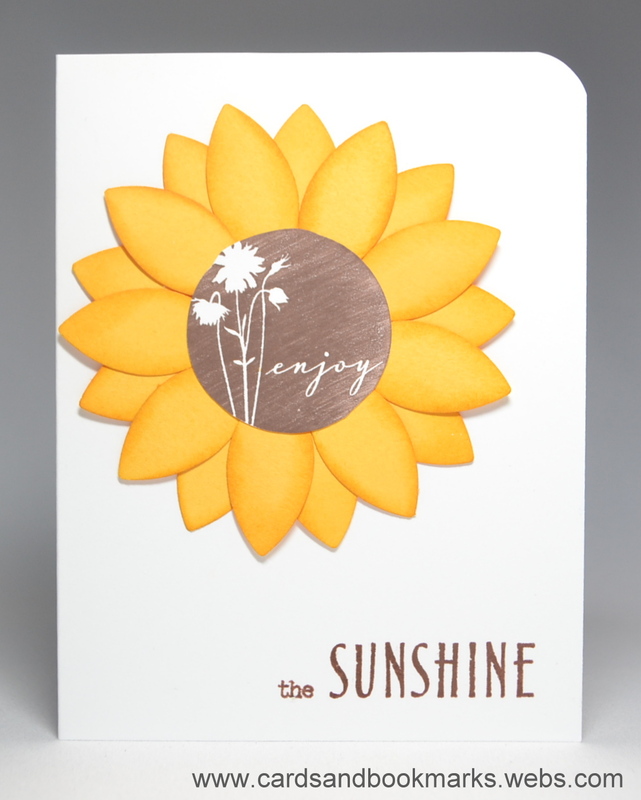 I was thinking of cutting out long thin petals (as in a sunflower) then I remembered about this Stampin’Up! punch which has both petal and leaf shaped blades. And one of the leaves was just perfect to build up this flower. The card was super fast to make, as you will see in the video. I did fast forward the part where I was arranging the petals, but it was still one of shortest recordings that I made! I didn’t show this in the video, but I rounded one of the corners of the card afterwords. Inks: Memento Rich Cocoa, Close to my Heart Chocolate. Paper: Neenah Solar white, yellow cardstock.